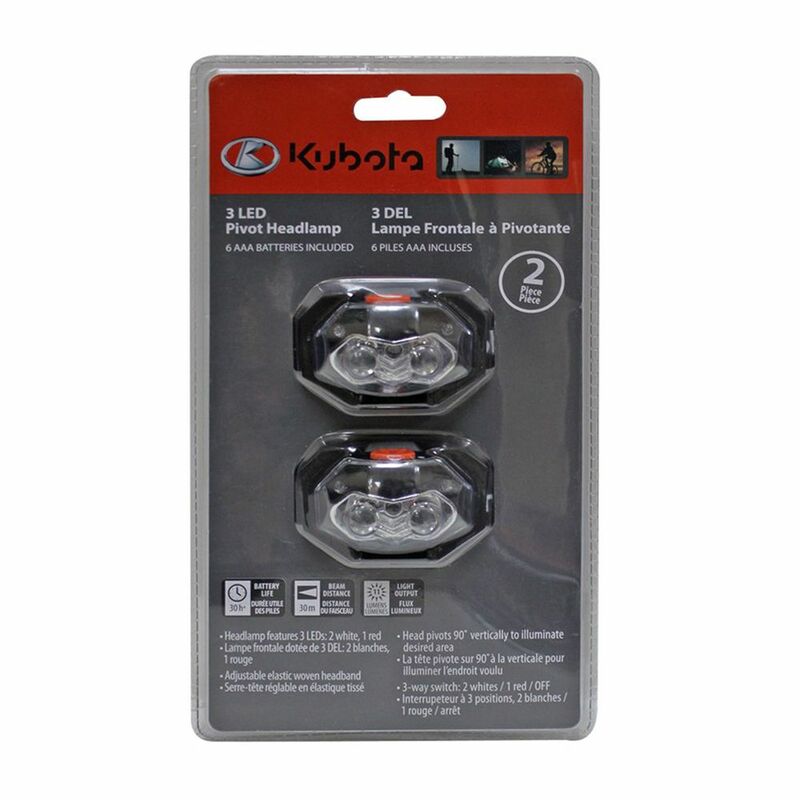 This Kubota 3 LED Pivot Headlamp, 2 pack, is a hands-free light perfect for camping, auto emergencies and home repairs. Designed with a comfortable head strap, adjustable lamp position and three power levels. Powered by 3 x AAA batteries for each (included). It has a long 100,000 hour bulb life. 2 pack 3 LED Pivot Headlamp This Kubota 3 LED Pivot Headlamp, 2 pack, is a hands-free light perfect for camping, auto emergencies and home repairs. Designed with a comfortable head strap, adjustable lamp position and three power levels. Powered by 3 x AAA batteries for each (included). It has a long 100,000 hour bulb life.